Optical distortions are sometimes brought about by natural phenomena, from commonplace mirages on the Arabian plateau to gravitational lensing by black holes. We're all familiar with those, right? We also experience the more mundane, and photographically impinging, geometric distortion brought on by the imperfections of the lens maker's art. Glass is imperfect, designs are imperfect, manufacturing is imperfect. The result? Imperfection. Maybe. Maybe not. It might not even be noticeable. Two common forms of optical imperfection go by the prosaic names of barrel and pincushion distortion. More simply put than in the audio, barrel distortion is evident when what we believe to be straight edges or lines or elements of a scene bow outward from the center of an image toward its edges. Features near the center are less affected, those near the edges more so. See how my desire to photograph a simple cylindrical wine barrel was thwarted by a bit of barrel distortion? Oh Muse of Photography? Why have thou forsaken me? Photo by Gerard Prins via Wikipedia.org. The other everyday distortion is labeled pincushion distortion which, judging by the following image, just doesn't make any sense, nomenclature-wise. 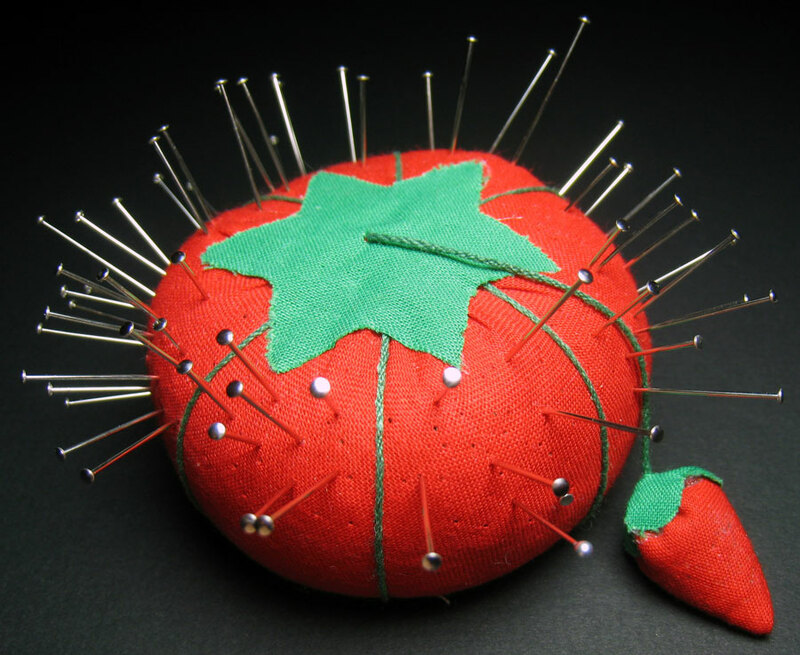 This pincushion, as do most I've seen, looks more like a barrel-distorted pillow. That's why I opt for describing the effect as trampoline distortion. Press down on a photo on a trampoline and the image pinches toward the center. As with barrel distortion, features near the center are less affected. Photo by Dvortygirl via Wikipedia.org. With the invisible abalone on the tramp' (listeners will know what that's about), the stretchy ceramic red tile surface deflects toward the center. Original photo by Robertcsjodin via Wikipedia.org. In Episode 34 the photo-improving application Photolemur was reviewed. That was version 2. Just a short while later they introduced version 3 and I took it for a spin to see what there was to see different. Short version: it does pretty much the same as before. Drop a file onto the app's window and in a few seconds an improved version of the image is available to save or share. A short long version: Skylum Software added a few preset "styles" to subtly stylize the image, allow for correcting barrel and pincushion distortion, if it knows what your lens did in the first place, and can detect faces and eyes to take a stab (ouch!) at improving them. The styles are, as I said, subtle, though there is a black-and-white one, the distortion correction is welcome, while the face improvements didn't thrill me. The skin was weirdly smoothed and colored, the eyes were sharpened a bit but, because the skin was softened, the resulting contrast was disturbing. As I've mentioned in a previous episode, I like the expression of this woman enjoying a local (Gilbert, Arizona) parade. It turns out this is, I believe, Debbie Sledge formerly of the singing group Sister Sledge! She now (also?) performs and records sans sisters. Whether it is or not, you can learn more about Debbie at www.debbiesledge.com. A longer short short version: except for the facial "improvements," the results from Photolemur 3 were even better than version 2. 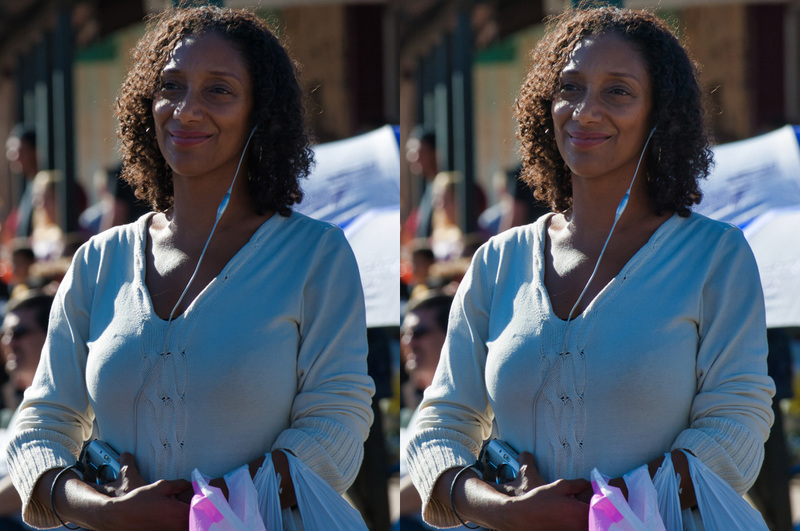 Above, the version 2 version is on the left, the version 3 on the right. Notice the slightly brighter shadows of her skin and hair and a reduced greenish cast in her sweater. And the brightening did not come at the expense of blowing out the highlights — a challenging image done even better this time around. 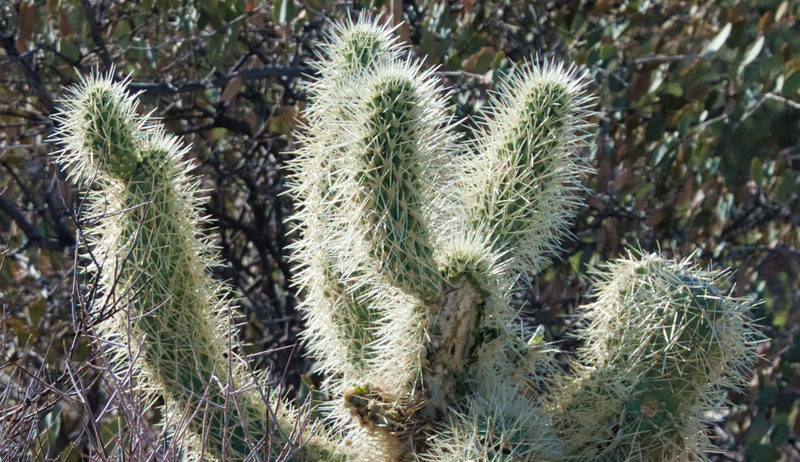 Speaking of not blowing out highlights, this cropped image shows how the backlit cactus spines, which could have easily been blended together into a soft halo of brightness, rather than the deadly (not really) armor of the cholla, kept their discreteness. Good job Photolemur 3. The price, as of this writing, is $35 for a single license, $55 for a five-seat family license — on sale for $39 — and $15 for upgrades. Learn more at https://photolemur.com. 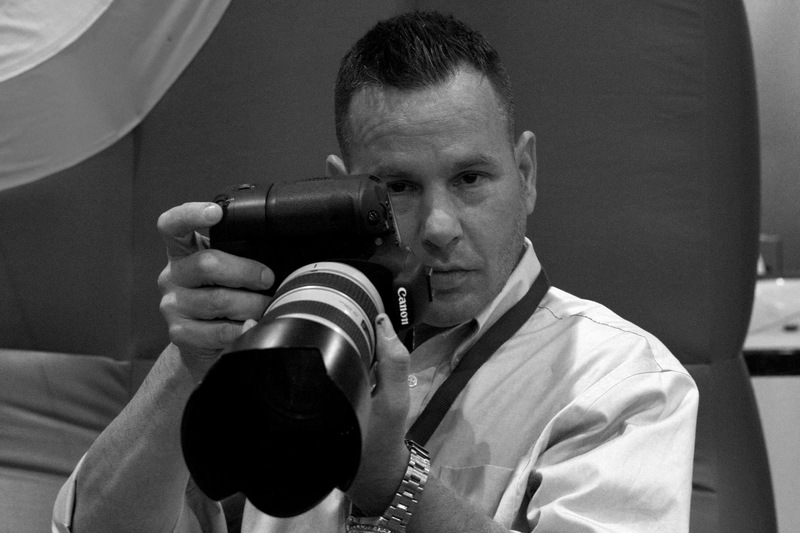 My guest this episode is Paul Landau, a skilled photographer whose income comes from elsewhere, but his heart, his obsession as he describes it, is in photography. We met out in the wilds of Arizona, the Four Peaks Wilderness Area, for a chat with beautiful weather and the occasional truck or ATV sputtering by. Enjoy the conversation and look for Paul's work at www.landauimaging.com. 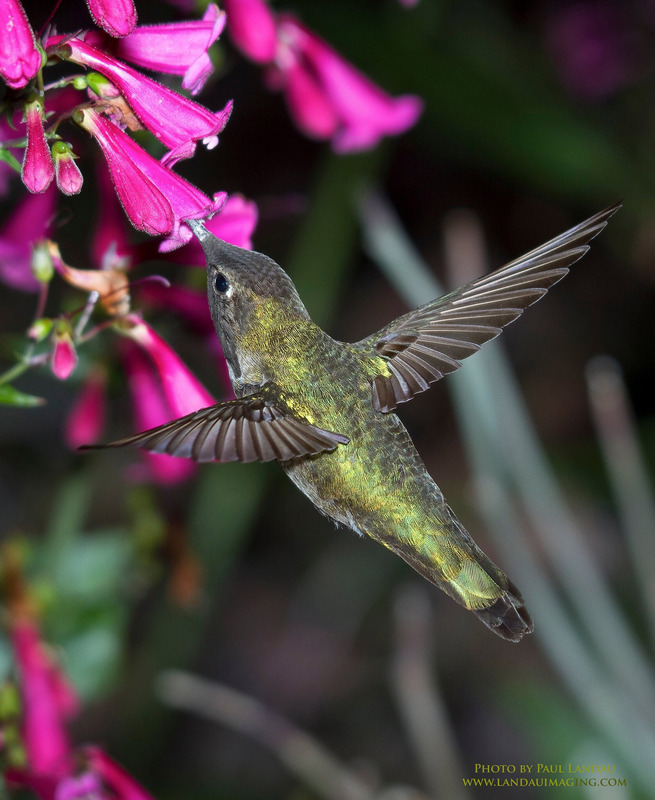 A hummingbird frozen in flight with suitable equipment, sure, but mostly with skill and experience. Photo by Paul Landau. Paul Landau. Photo by John Strand. I spoke with Paul while sitting in my car out in the Four Peaks Wilderness Area and declared, during the conversation, that I'd take a photo to illustrate the scene before us. I didn't. So here's a photo of Four Peaks, that cluster of pinnacles on the right, taken on a different day and, unfortunately, from an angle that makes you question the "four" part — the peak on the right is actually blocking its brother. Andy Warhol gave us the first quote in the episode, “You need to let the little things that would ordinarily bore you suddenly thrill you.” It may take a little noodling to figure out how to do that, but I think I've figured it out and I find it a worthwhile endeavor. There is something at least interesting, if not thrilling, about even what appears everyday. Open your mind and see if you can't see it. Warhol was joined by Barbara Pym and Charles Dickens, so listen in for what they have to say about the little things. Um, I lied. I made up the quote (though I didn't make up Mr. Z.) and nothing had anything to do with that opening sentence. 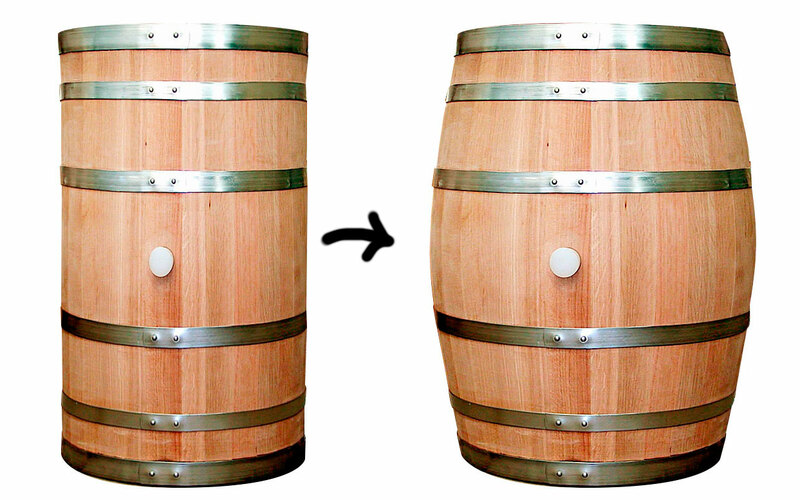 Even that "barreling into" part only coincidentally played into the bit about barrel distortion. But I know that if I teased you with some of that Mister Z jazz, you'd dive right into the rest of the text. Amiright? !